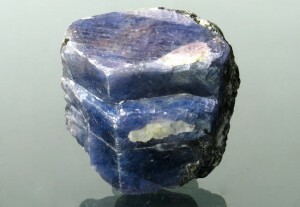 It was a sapphire, a raw one. A misty, cloudy blue little thing, half the size of his little finger’s nail. He shook it free of its wrappings and it landed silently but solidly in the hollow of his hand. "Ye said it maybe doesna matter whether it’s cut or not," Buck said, nodding at it. "I think not. I hope not. I wish I could say I can’t take it." Roger closed his fingers gently on the little rock, as though it might burn him. "Thank you, a charaidh. Where did ye find it?" "Ach…" Buck said vaguely, with a slight wave of his hand. "Just saw it and picked it up, ken?" "Holy Lord," Roger said, squeezing the little pebble involuntarily. Too late, he remembered the castle in Strathpeffer, him talking with the factor about Jemmy and Rob Cameron—the earl being away from home—and Buck gone, disappeared with a handsome young housemaid. And the factor offering to show him Cromartie’s collection of agates and rare stones… he’d declined, thank God. But—"
"You didn’t," he said to Buck. "Tell me ye didn’t." "Ye keep saying that," Buck said, frowning at him. "I will, if ye want me to, but I shouldna think a minister ought to be encouraging folk to tell lies. A poor example for the bairns, aye?" He nodded toward the stable-yard, where Jem was playing with a boy who had a hoop, the two of them trying to drive it with sticks over the bumpy ground, with a marked lack of success. Mandy was throwing pebbles at something in the dry grass—probably some hapless toad trying its best to hibernate against the odds. "Me, a poor example? And you their own great-great-great-great-grandfather!" "And should I not be lookin’ out for their welfare, then? Is that what ye’re sayin’ to me?" "I—" His throat closed suddenly and he cleared it, hard. The boys had left their hoop and were poking at whatever Mandy had found in the grass. "No. I’m not. But I didn’t ask ye to steal for them. To risk your bloody neck for us!" That’s my job, he wanted to say, but didn’t. "May as well be hanged for a sheep as a lamb." Buck gave him a direct stare. "Ye need it, aye? Take it, then." Something that wasn’t quite a smile touched the edge of his mouth. "With my blessing." On the far side of the yard, Mandy had picked up the hoop and put it about her solid little waist. She waggled her bottom, in a vain attempt at getting it to spin. "Look, Daddy!" she called. "Hula hoop!" Jem froze for a moment, then looked at Roger, his eyes big with concern. Roger shook his head slightly — don’t say anything — and Jem swallowed visibly and turned his back to his sister, shoulders stiff. "What’s a hula hoop, then?" Buck asked quietly, behind him. Go to my Book Nine webpage for more excerpts (Daily Lines)! What a tiny, tiny taste of your new book. Not enough, I can’t wait for it to be in my hands. Why Roger might need a gemstone causes me some worry. I have a feeling this is explaining how Bri, Roger and the kids manage to return to Jamie and Claire at Fraser Ridge. Roger is looking for gems to get the family from 1739 to 1780 so they meet up with C and J on the ridge. Ah, Casey and Penny Red, you are so right. I wasn’t thinking “backstory,” I was thinking this was past the point when they were already at the Ridge. Okay, so I can breathe easier now. Yup, big time spoilers there in a couple of paragraphs, if I remember the end of MOHB correctly. Want you to know just finished reading last book in my own blood have read all 8 of them don’t think I have read that many books in a row in my life. I love the way you brought the story of love, scottish history, and US history together. sometimes I lost track of who was who but overall it was great. I thought easy reading. Please hurry up with the new one. I am waiting. . you must have done a lot of research to get the coordination of the history dates keep up the good work. I would love to meet you. as I said earlier I have scottish roots and I felt like I was there. good luck and god bless. Take care of your tootsies-footsies! Oh dear lord! Now I’ve got to get caught up on all the other books too as well as the show. The great puppet master herself has in her clutches. The great Herself is great indeed. I just love the nod to the Earl of Cromartie! Especially loved the “collection of agates and rare stones…” bit. I was fortunate enough to visit Castle Leod and meet the Earl. I have one of his agates on my desk! By the way, your tree was doing beautifully! I am excited to read the book nine. I am reading the book seven but something I can not understand until now: in book 1, a Highlander (probably Jamie) notes Claire in the window (when she is combing her hair) … but Claire still not know Jamie at this point. How could he come back to see her then??? I JUST finished reading MOBY last night so it was so nice to see this first thing the next day! Thanks and hope to see more soon! AHHHH, Waiting patiently for the next installment and for the finished product. I just love these books. Thank you Diana for sharing your stories with the world. They are truly magnificent works of art. HI DIANE, CONGRATULATIONS ON THE GOLDEN GLOBES! I SAW YOU PICKED A ROGER AND A GOOD CHOICE I THINK. I ALSO TWEETED ABOUT LESLIE ROSE WHO IS A PERFECT BRIANNA. SHE IS AN ANCESSTOR OF SIMON FRASER ON HER MOTHER’S SIDE. Rose Leslie – http://www.imdb.com/name/nm3310211/ READ HER BIO. SHE PLAYED YGRETTE ON GAME OF THRONES TOUGH, PRETTY GREAT WITH A BOW AND ARROW AND A FRASER! WHAT MORE COULD YOU ASK FOR! OH AND A REDHEAD! CAN’T WAIT FOR #9. JUST FINISHED A PLAUGE OF ZOMBIES AND I’M ENJOYING THE LORD GREY BOOKS TOO! BUT ALMOST DONE WITH EVERYTHING…. THE SERIES WILL BE COMING JUST IN TIME! AND HOPEFULLY #9 WILL FOLLLOW SOON AFTER SEASON 3. THANKS FOR YOUR WONDERFUL BOOKS! Been loving these stories for 25 years. Can’t wait for book 9. I live on a small island and my daughter sends your major ones to me as soon as they are in the new zealand bookstores. Love them you have given me a huge amount of reading pleasure. Llease keep it up. Saw the Outlander televised series when wAs last in NZ and looking forward to the second series of that. The actors fit the roles much to my liking. back for my 2nd Read of the Lord John Series. Thank you so much for the great stories.